These terms and conditions shall be the only terms of contract between “The Seller” Beauty For LTD. and ”The Buyer” the purchaser of goods. No other conditions shall have effect unless agreed in writing. 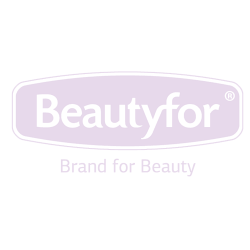 Beauty For Ltd. operates exclusively as a wholesaler and does not sell directly to the Public (Consumer Sales). By placing an order with Beauty For Ltd. you are confirming that you are not a Consumer for the purposes of the Consumer Credit legislation and for the Purposes of Sale of Goods legislation and that you are in business and purchasing the goods for the purpose of that business and not for personal use. All products sold on this website are intended for those qualified in the hairdressing or beauty trade and are for sale on a trade only basis. Goods are sold on the understanding that they will be used for their intended purpose. No responsibility will be accepted by Beauty For Ltd. for trained or untrained personnel without qualified supervision using or mis-using equipment supplied by The Seller. If you are a business customer, it is your responsibility to ensure that you are insured for products that you are using and we reserve the right to ask you for proof of professional status. Prices and offers are correct at the time of goods being displayed on the website but are subject to alteration without prior notice. Unless otherwise stated prices and delivery charges will be exclusive of VAT at ruling rates and delivery costs. All prices are correct at time of print but may be subject to change without notice. It is possible that some of the products in our catalogue may be mis-priced. If you use this website you will be responsible for maintaining the confidentiality of your account and password and for restricting access to your computer to prevent unauthorised access to your account. You agree to accept responsibility for all activities that occur under your account or password. You must ensure that the password is kept confidential. If you believe that your password has become known to anyone else, you must inform us immediately. Beauty For Ltd. reserves the right to refuse access to the website, terminate accounts, or cancel orders at our discretion. If we cancel an order you will not be charged. Account Customers – Payment is due in full, 30 days from date of invoice. Further orders will not be despatched whilst a balance is outstanding. Beauty For Ltd. reserves the right to alter or amend credit charges, to withdraw credit, to accept or reject orders, to refuse applications, or with prior notice, to close an account. Any cancelled or returned cheques issued will be subject to a £25 (per returned cheque) administration fee chargeable to the purchaser. All goods must be inspected on delivery and any claims of shortages or damages must be reported to Beauty For Ltd. within 24 hours of receipt of goods. Delivery curbside for large or heavy items. From there on it becomes the customers responsibility. However, if the client requires the goods to be transported further within the property or assembled, separate arrangements with driver need to be in place and a further charge shall apply (driver has full right to refuse). If both sides driver and recipient accepts the arrangements, we do not take any responsibility for moving goods within client properties i.e damaging goods therefore, further risk acknowledge act should be accepted and sign by the recipient during delivery. For large items or orders i.e. electronic beauty bed delivery is curbeside on a pallet. Please note that the driver is not obliged to bring the pallet to the doorstep and may not take the goods inside the premises. It may be delivered only onto the pavement whereby it's the customer's responsibility. Goods on a pallet must be checked, unwrapped and inspected before signing for the goods as signing confirms that the goods are in good order and undamaged. If the goods cannot be delivered or accepted and redelivery is required there will be an extra charge. Dispatch times may vary according to availability and any guarantees or representations made as to delivery times are subject to any delays resulting from postal delays or force majeure for which “The Seller” Beauty For Ltd. will not be responsible. Force Majeure, The seller shall be entitled to cancel or delay orders if it is delayed, hindered or prevented from delivery through circumstances beyond its control. Such circumstances shall include (but are not limited to) industrial action, accident, fire, Act of God or failure to delivery by supplier or courier. All delivery dates are given in good faith by the seller to indicate estimated delivery times but shall not amount to any contractual obligation to deliver at the time stated. No liability for direct or consequential loss or damage arising from delay in delivery will be accepted by the seller. The buyer accepts the use of the seller’s nominated courier and the courier’s terms & conditions. Delivery related disputes will be settled between the buyer and courier. Small items are only delivered to the buyers chosen address and may require the buyer to assemble them. All goods must be checked while the delivery driver is present and signed for accordingly. In the event that goods are damaged in transport the buyer must sign for these goods as damaged, replacement goods will only be provided by the seller under this condition. If the customer is not present or there is no one with authority to sign for the goods, the seller will not be held responsible for any damage or additional charges thereafter. If goods have been ordered in error or are not as expected, the seller may agree to their return subject to the following conditions. The items are unused, in perfect condition and sent back in its original packaging (goods returned not in original packaging and in poor condition will not be refunded). The Buyer takes responsibility for the return postage. Goods must be returned within 30 days of receipt. The Seller accepts no responsibility for items lost/damaged in transit. It is recommended that a receipt of posting is obtained and it is the Buyers responsibility to ensure adequate insurance is purchased to cover the items being returned. All handling fees incurred will be deducted prior to refund on large or heavy items. Collections for unsuitable items will be subject to a minimum 15% handling charge. Collection of goods with a value of £50.00 or less and parcels returned to sender will be subject to a minimum charge of £5.00 per parcel. Exclusions: Due to strict hygiene regulations, the Seller cannot accept returns of items such as scissors, clippers, razors, manicure or pedicure implements, tweezers and electrolysis needles which have been used. (This list is not exhaustive). Please note once the product packaging (i.e. hair removal wax pack, cream, roll-on etc.) is opened it could no longer be returned. If you think an item is faulty please contact us for advice before returning the item. Faulty items must be accompanied by a proof of purchase. Any faulty goods returned within 30 days of purchase with minimal wear and accompanied by a proof of purchase will be exchanged for an identical item or refund. Any faulty goods returned more than 30 days from purchase and accompanied by a proof of purchase may be sent for repair or replaced or refunded at our discretion. Where a fault or the cause of a fault is not apparent we reserve the right to send the item for testing before deciding on any action to be taken. This should take no longer than 10 working days, depending on the item. Goods which are given free, as part of an offer, are not exchangeable or refundable. Cancellation after despatch cannot be accepted, all orders including non standard heavy or large items. All offers are subject to stock availability. Beauty For Ltd. reserves the right to restrict or refuse any order for application of credit at any time. The seller takes special care to show correct sizes and specifications and such descriptions, whilst given as a guide, in good faith, are subject to alteration by the seller without notice. All colours are as near as can be displayed on a computer monitor.